It all starts with the unshakeable GORE-TEX® promise “GUARANTEED TO KEEP YOU DRY®” in combination with an extremely effective ventilation system and a comprehensive safety package. But the biggest strength of the Latitude range is its versatility: it is an absolutely reliable partner – 365 days a year. In high temperatures, the sophisticated ventilation system ensures effective cooling. A total of 10 adjustable vents, all with equipped with waterproof YKK zippers, enable perfect temperature control at all times. In rain and damp weather, the laminated GORE-TEX® membrane guarantees you to stay absolutely dry. At the same time, the 2-layer laminate prevents the outer fabric from absorbing water and the rider freezing because of it. There is no additional clothing you need to wear under or over the kit, so there’s nothing you have to worry about packing additionally. Active protection is provided by the level 2 certified D3O® protectors including a back protector, leather overlayers on elbows and lower arms as well as tear-resistant 840D Cordura® on shoulders and knees. Highly quality 3M Scotchlite™ reflectors ensure maximum visibility, even in poor weather conditions or at night. 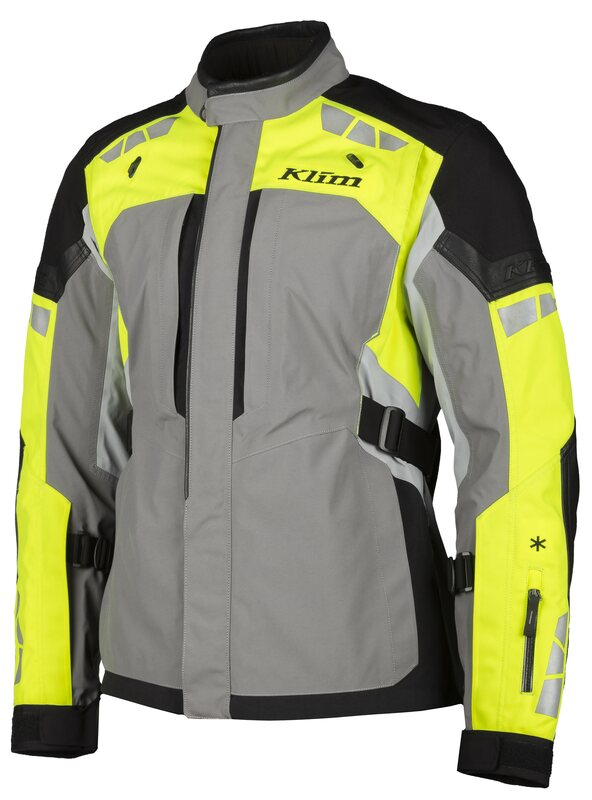 The KLIM Latitude suit stands for elegant and timeless versatility without compromising on functionality and comfort! Colours: The Latitude jacket is available in red, grey, black and hi-vis. The matching trousers are available in grey and black. Sizes: Jacket and trousers are available in EU sizes 48-58 and in plus sizes 50D-58D. The trousers are also available in extra-long sizes 50T-56T. Prices: Recommended retail prices are € 825.00 for the jacket and € 700.00 for the trousers.